I found an old concept I had done for fun illustrating an event from my childhood. 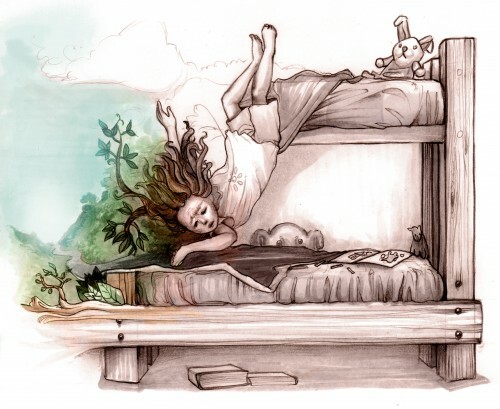 I had been dreaming deeply when I rolled over and fell from the top bunk in my room, and while falling I woke up. To this day that sensation of exiting a dream in flight is one of my strangest experiences yet!